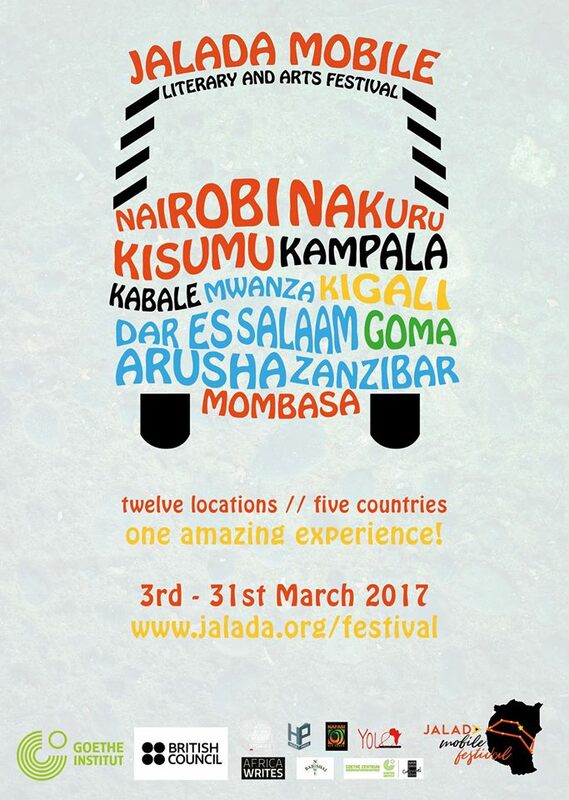 Jalada Mobile Literary & Arts Festival is a hybrid between a traditional festival and a bus literary and art tour, covering 12 cities/towns in five countries across East Africa (Kenya, Uganda, DRC, Rwanda, and Tanzania) from March 3rd – March 31st 2017. The Festival will showcase new art to new audiences, celebrate cultural diversity through multi-lingual performances and exhibitions, revitalize cross-cultural interchanges between Africa and the world, and interrogate the place of African languages and translation in the 21st century. It is a unique concept that combines the adventures of travel writing, digital mapping of literary landscapes and tour mini-documentary making with an expanded retinue of traditional literary discussions and performances in Nairobi, Nakuru, Kisumu, Kampala, Kabale, Goma, Kigali, Mwanza, Arusha, Dar, Zanzibar, and Mombasa. To find out more about Jalada Africa and the schedule see their website here.